With contributions from many scholars at the CBS Department of Management, Society and Communication, this upper-level textbook offers an original and up-to-date introduction to issues in corporate social responsibility (CSR) from a global perspective. Being the first of its kind combining critique of CSR with a discussion of opportunities, it guides students through key themes in CSR including strategy, communication, regulation and governance. It includes chapters devoted to critical issues such as human rights, anti-corruption, labour rights and the environment. Pedagogical features include customised case studies, study questions, key term highlighting, practitioner pieces and suggestions for further resources. The book is also complemented by a companion website featuring adaptable lecture slides, teaching notes for cases and links to related resources (see links below). All royalties that this book generates are donated to Save the Children. 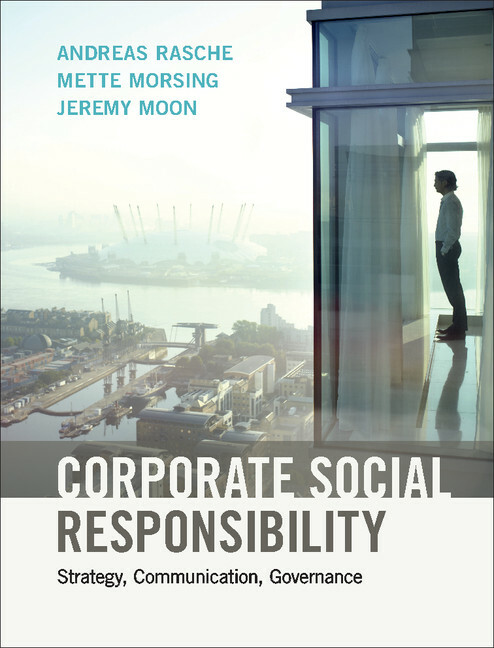 Corporate Social Responsibility can be purchased through: www.cambridge.org/rasche and www.academicbooks.dk. If you have any queries regarding the book, please write to: Andreas Rasche at ar.msc@cbs.dk or Louise Thomsen at lth.msc@cbs.dk.